Smithfield announced today that it exceeded that goal, improving practices on 560,000 acres in 2018. A new case study, published in conjunction with this announcement, explains how Smithfield exceeded its goal and generated value by doing so. Authored by Datu Research with contributions from EDF and Smithfield, the case study examines the different grain sustainability interventions tried by Smithfield — both those that worked, and those that didn’t — as well as the manure-to-energy projects Smithfield is implementing to reduce greenhouse gas emissions 25 percent by 2025, a first-of-its-kind commitment from a major protein company. 1. Food companies can improve sustainability in commodity grain supply chains. 2. The most successful initiatives focused on shared value to the environment, farmers and Smithfield. Smithfield wanted to purchase more winter wheat for its hog feed, which would also keep soils covered throughout the winter months. The company developed a program that offered low-cost seed and agronomic assistance to grain farmers who planted winter wheat. As a result, Smithfield was able to increase winter wheat planting on 30,000 additional acres and increase its wheat purchases by 2 million bushels in just two years. 3. The next evolution of grain sustainability will be collecting data that shows environmental impact. To assess progress, Smithfield utilized the Walmart reporting framework, which tracks the number of acres on which improved practices have been adopted. However, Smithfield did not track fertilizer application amount or crop yield, which would allow for accurate calculation of environmental impacts such as GHG emissions reductions through metrics such as nitrogen balance. Future efforts by Smithfield and other companies must seek to improve data reporting methods in order to accurately assess the environmental impacts of their efforts. Why would Smithfield share the secrets of its success and lessons learned with other food companies, including its competitors? One reason is that while EDF does not accept financial contributions from the companies we work with, we do insist on collaborating with companies that can drive change throughout an entire industry. 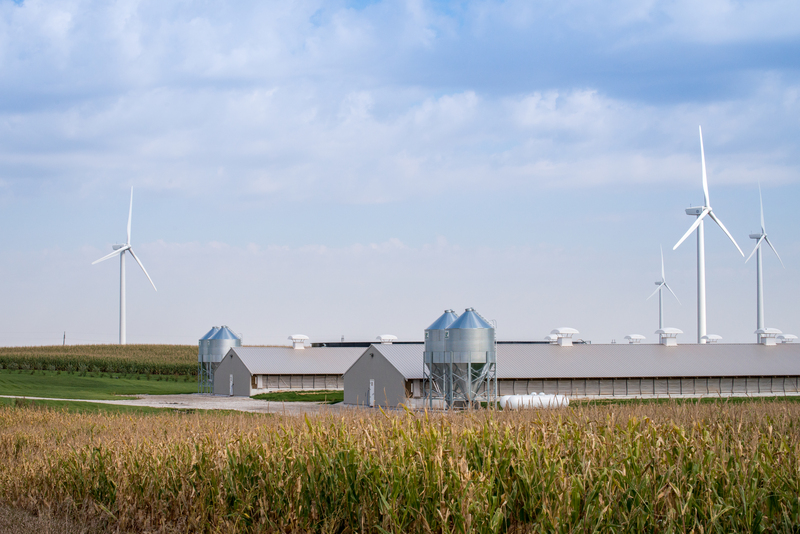 As the largest hog producer and pork processor in the world, Smithfield’s leadership in addressing grain sustainability is welcome — particularly because animal agriculture consumes nearly 40 percent of U.S. corn production. The second reason is that truly ambitious supply chain sustainability goals can only be achieved through collaboration. Complex food supply chains include many different companies and farmers, and no single company can control everything occurring in that chain. Rather, companies must work with others in the chain to identify opportunities that benefit all parties and produce environmental benefits. It is our hope that sharing Smithfield’s grain sustainability achievement can motivate and assist other food companies to do the same, until practices that reduce fertilizer loss and build soil health become the norm in agriculture. This entry was posted in Sustainable Agriculture and tagged grain, Smithfield Foods, supply chain, sustainability. Bookmark the permalink. Both comments and trackbacks are currently closed.